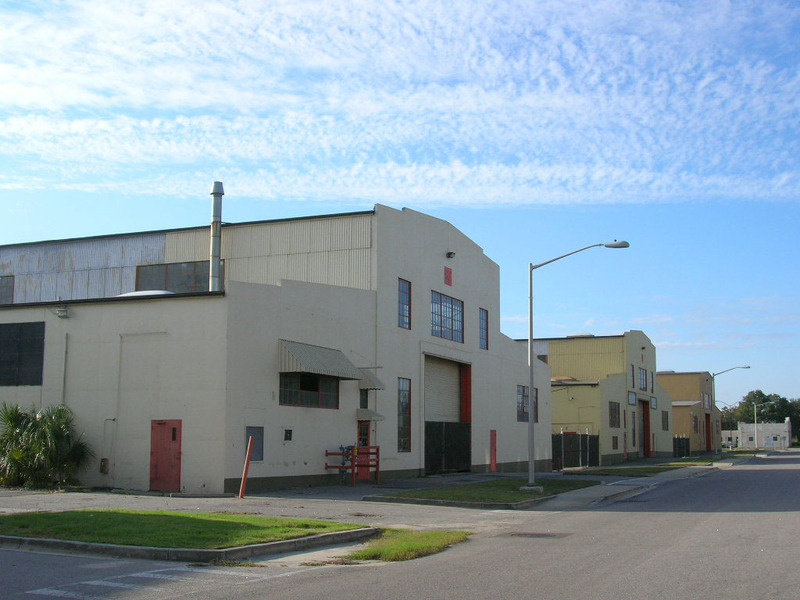 The main avenue of the Navy Yard at Noisette, Noisette Blvd. 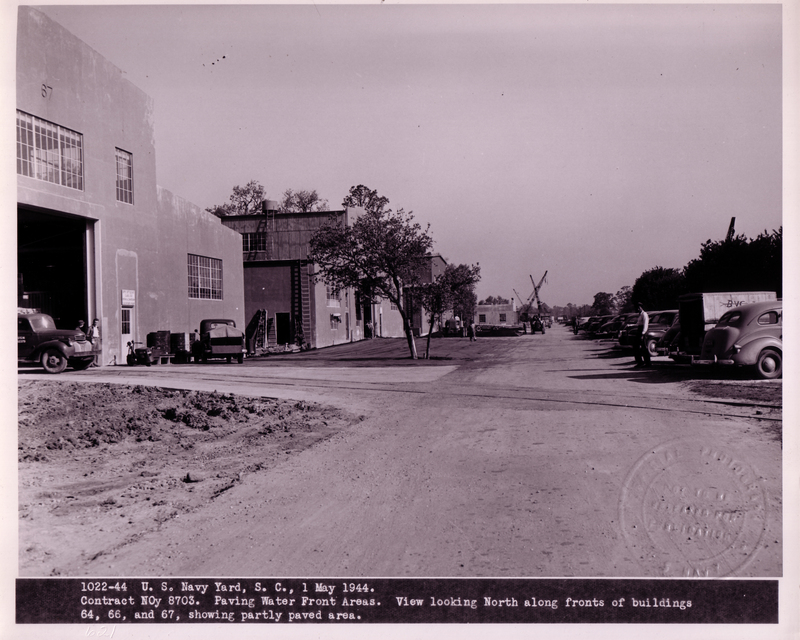 formally Avenue D, looks much like it did back in the 1940’s. Sure it has since been paved and modernized with drains and street lights, but the buildings themselves are largely unchanged. Today, these building are occupied by CMCI, Inc. I wonder what color they were back then?